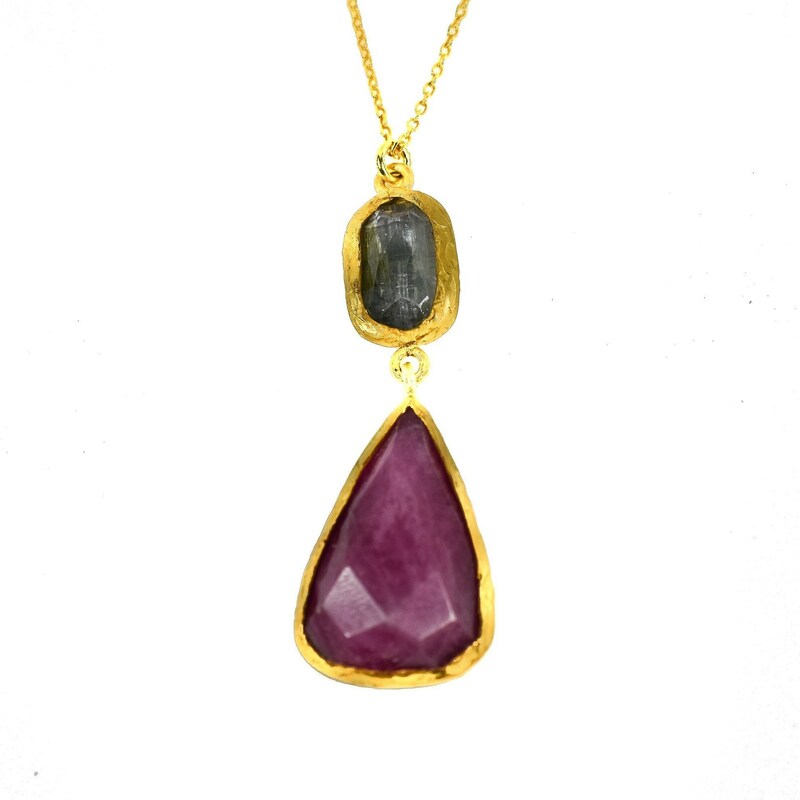 READY FOR IMMEDIATE SHIPMENT .Handmade Beautiful 2 stone dual color tourmaline necklace .It's 24 karat gold plated over silver. Elegant and a great gift option for special occasions .Tourmaline aids in understanding oneself and others. It promotes self-confidence and diminishes fear. 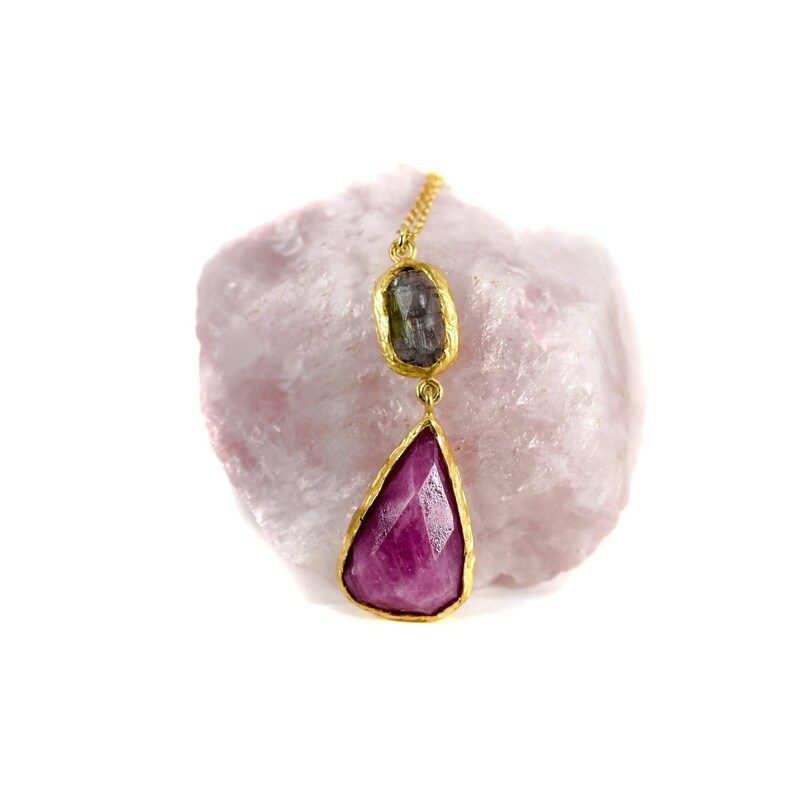 Tourmaline attracts inspiration, compassion, tolerance and prosperity. It balances the right-left sides of the brain. Helps treat paranoia, overcomes dyslexia and improves hand-eye coordination. 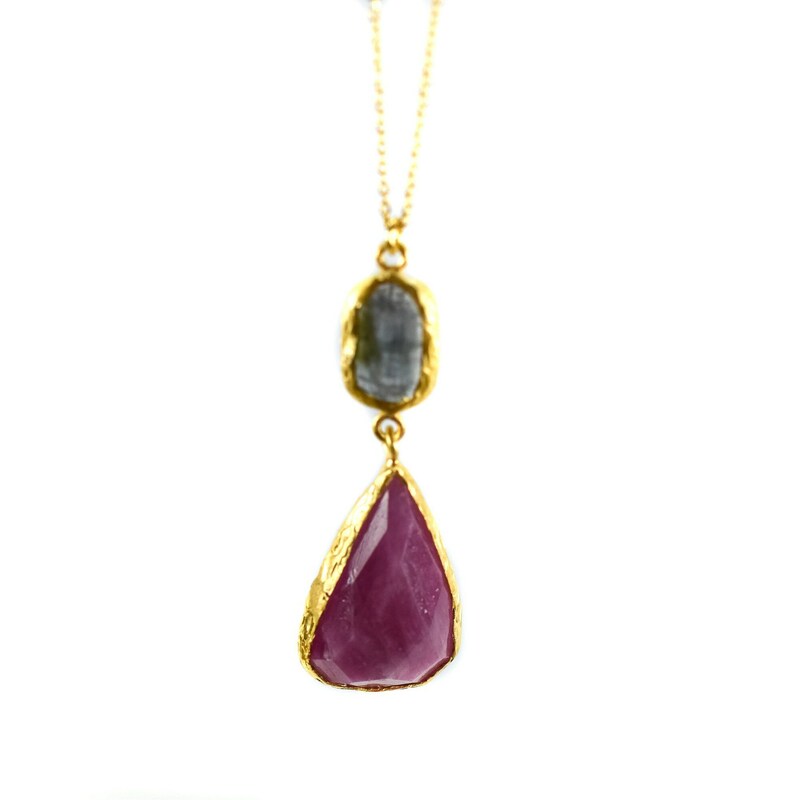 Tourmaline releases tension, making it helpful for spinal adjustments. It balances male-female energy within the body. Enhances energy and removes blockages.